The mission of the Court Appointed Special Advocate (CASA) Program in Chautauqua County, NY is to provide an independent voice in court, advocating for the best interest of abused and neglected children in the pursuit of safe and permanent homes. In 1977, a Seattle Superior Court Judge named David Soukup was concerned about trying to make decisions on behalf of abused and neglected children without enough information. He conceived the idea of appointing community volunteers to speak up for the best interests of these children in court. He made a request for volunteers; 50 citizens responded beginning the CASA movement. Today, there are more than 950 state and local program offices nationwide. Since the inception of CASA, advocacy volunteers have helped well over 1,000,000 children find safe, permanent homes in which they can thrive. In 2002, Family Court Judge, the Honorable Judith S. Claire attended a judicial conference where she heard about Court Appointed Special Advocates (CASA). She returned home and reached out to a number of human service agencies in an effort to get a CASA program organized in Chautauqua County. In October 2002, a call was made to the community to attend a meeting at the Supreme Court courtroom in Mayville, NY in order to discuss ways of establishing a CASA program in Chautauqua County. A standing room only crowd showed up to learn more about Court Appointed Special Advocates for Children. Nearly 100 interested parties attended including Assemblywoman Cathy Young, County Executive Mark Thomas, local judges, attorneys, health care professionals, teachers, parents and local residents. From this group, a 28 member planning committee was formed. On January 17, 2003, the mission was finalized as stating: CASA of Chautauqua County, an independent not-for-profit organization, trains and supports approved volunteers who advocate for the best interests of abused and neglected youth in the courts in an effort to find them safe and permanent homes. CASA of Chautauqua County become their own 501 (c) 3 organization. 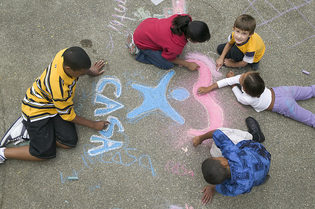 The first class of CASA volunteers was trained in November and December of 2003 and was sworn in on February 2, 2004. Four of the advocate volunteers accepted cases and began advocating on behalf of abused and neglected children.